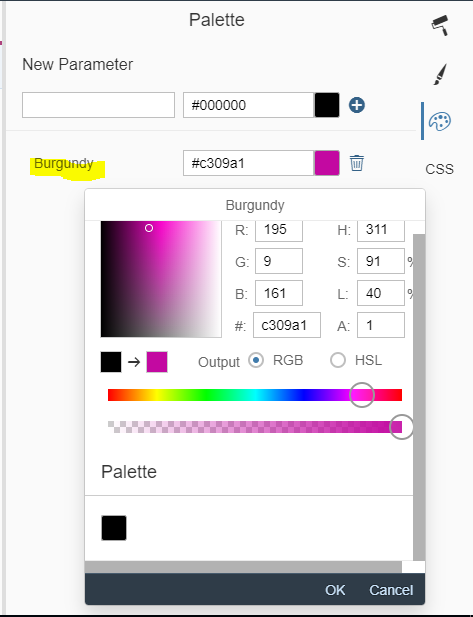 We will also see an overview of the theme designer and how to style using it for a custom SAPUI5 application. 1.Register for Theme Designer in WebIDE. In cockpit->Subscriptions->New Subscription. 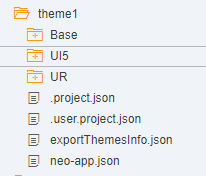 Choose base theme which you want to edit( say, SAP Belize), Give an ID to your theme (Note: You will be using the same name you have given in WebIDE neo-app.json file. You can choose colors from the panel in the right for major controls. 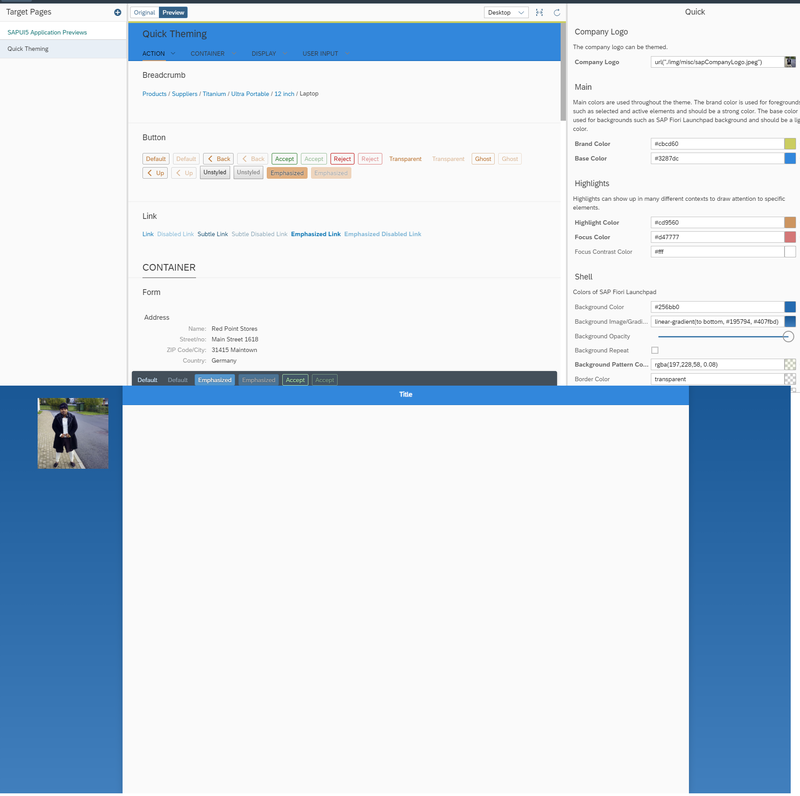 Main colors( used throughout the app),Shell(launchpad),Group(panels,tables,etc. ),Tile(Launchpad tiles),Application Background,Object header,List,Text attributes,Icon Attributes,Button,Semantic Colors(Positive,Negative,Critical,Informative),Scrollbar,toolbar and field that can be customized). You can reuse these colors by referring to the names that you have given here. 1.Once you are done with styling, click on Theme->Save and Publish. 3.Now go Back to your SCP cockpit and click on HTML5 applications. 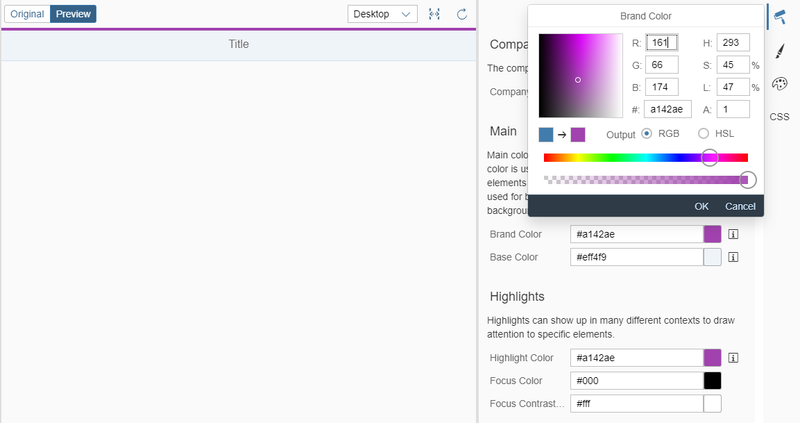 You can See your theme here with the name you had specified in Step-2 Creating a new Theme in Theme Designer. 4.Import this application in WebIDE. Note: Application Name will same as the name mentioned in neo-app.json file in Step-1 : Register for Theme Designer in WebIDE and Deploy an Application to SCP. Check for library-parameters.json file in this path- theme1->UI5->ui->layout->themes->theme1->library-parameters.json. If you don’t find this file, do a test build again from themedesigner. In the Custom app’s index.html, add these two parameters in the script tag. <themeID>: The ID you have provided when you exported your theme from the UI theme designer to your local hard disk. <path>: The application path you used for your mapping in the application descriptor file of the application to which your custom theme should be applied . 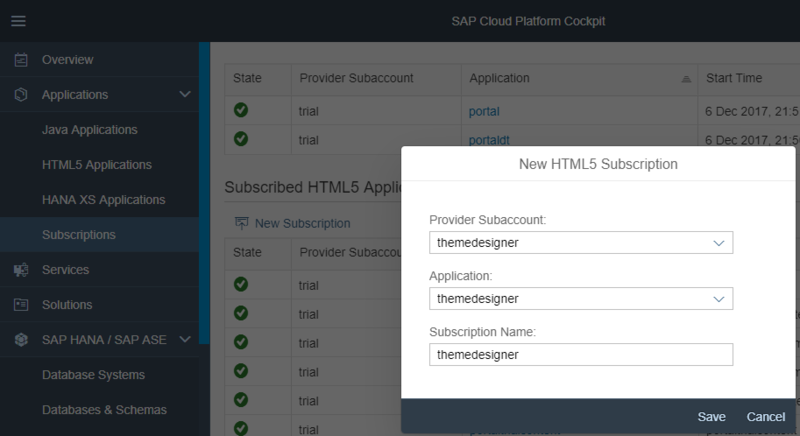 See Accessing Custom Themes from an SAPUI5 Application. <theme name>: The name of the application carrying your theming files. Run the app. You can see your new theme applied to the app. Thanks for reading!. 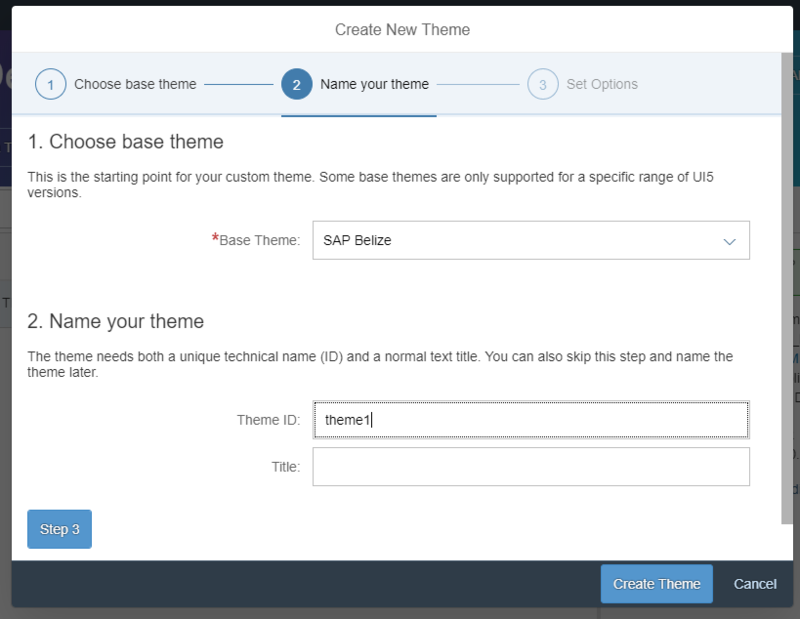 In my next Blog I would be detailing on how creating and deploying custom theme in SAP system and managing theme with version upgrades. I tried published and build my custom theme many times but still there is no library-parameters.json file. Can you tell me what could be the issue? Hey Akshaya, Thanks for this post.It’s a very good read indeed. But I’m facing issues while applying a theme that I created. library-parameters.json file . Instead, there’s a library.less file. Can you provide a fix ? DId you try to proceed with the .less file? Thanks for the blog !!! I am facing the same issue, library-parameters.json file is not generating, proceeding with the .less file, output is not coming up. Could you please provide your input on this. After re-generating the theme again, i am able to see the the library-parameters.json and run the app, but output is not coming as expected. I have added the background image and some text color, but the app alignment and layout is completely different , in preview mode of the theme it was showing the result correctly, after importing the theme everything got changed. At first would like to thank the author for that helpful article. I also faced issue with building and publishing the theme. Found simple workaround that worked for me: export theme locally and then manually create an html5 app with theme content. Basically after you create an empty html5 app in scp you just need to press “edit application using sap webide” button and then import the theme from zip file you just exported. Hope this helps until sap fixes the building stuff. If possible could you please add a screenshot of your steps in new comment. 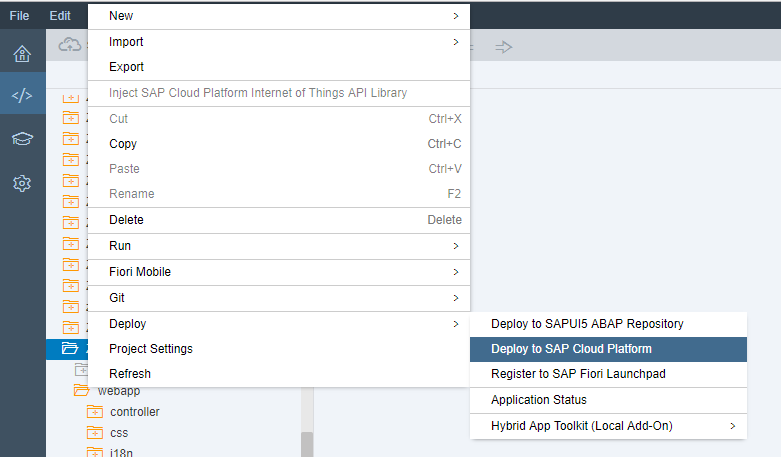 Anyone knows how to apply the theme to an application which is running as component inside the Fiori Launchpad?